We call homelessness a crisis in LA because we increasingly see the homeless in our midst everyday. Yet the invisible crisis has been with us for years, affecting even many UCLA students and staff. New LA City and County initiatives promise to meet the challenge of homelessness head-on, but success will depend on the quality of evidence and information informing these investments. UCLA must play a role in this effort, and that begins with learning more about the crisis and the response, and laying out a research agenda. 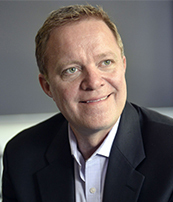 To galvanize transdisciplinary research and engage our campus with efforts across LA County, UCLA will host Professor Dennis Culhane of the University of Pennsylvania from May 21 – 24, 2018. One of the most influential homelessness scholars, Culhane pioneered use of homeless management information systems (HMIS) and integrated data systems to study homelessness, and generated much of the evidence base that led to permanent supportive housing and rapid rehousing policies. Ending homelessness and serving the needs of our most vulnerable individuals and families is possible, but it requires sustained effort. Culhane will kick off the week by reviewing the national situation, including progress and continued hurdles. He will also describe unique challenges for cities like LA where many homeless are unsheltered. For students, faculty, researchers and others interested in having a direct impact on homelessness, this Roundtable will describe current City and County research priorities and unmet needs, and will highlight areas for UCLA contribution. Funding approved in 2016-17 through Measures H/HHH will generate unprecedented resources and demand extraordinary input, yet there is need for research, evidence and data to guide decision making. The Los Angeles Homeless Initiative has established a Homeless Policy Research Institute, along with new research priorities and funding mechanisms. Attend to learn more about how to get involved. Integrated Data Systems (IDS) linking administrative, public agency data hold great promise for rapid and low-cost implementation and evaluation of homeless initiatives. Culhane will review the legal, ethical, scientific and economic challenges of interagency data sharing, as well as systematic efforts including policy reform and inter-agency collaboration to overcome these challenges. Finally, he will review important new IDS initiatives in LA County and California. The week will culminate with an academic mini-conference featuring UCLA homelessness researchers and colleagues from across the region. The conference is designed to foster transdisciplinary discussion and multiple viewpoints of single issues. As rapporteur, Culhane will help identify potential linkages, research opportunities, and data sources that may otherwise have been missed. Likely topics include pathways into and out of homelessness; relationships between the housing market and homelessness; articulating new service delivery models and data collection; mobile phones as a platform for outreach; and at-risk groups like adolescents and veterans. The conference will close with a conversation about sustaining this initiative through a campus-wide initiative, regular working groups, joint research and seed grants. This initiative has received generous support from the UCLA Office of Interdisciplinary and Cross Campus Affairs, and is co-sponsored by the California Center for Population Research (CCPR) and California Policy Lab (CPL). It brings together faculty from the Fielding School of Public Health, Luskin School of Public Affairs, College of Letters and Science (Social Sciences and Physical Sciences Divisions), and David Geffen School of Medicine.